St. Peter, Minn. – The 2012-13 Capital One Academic All-District Men’s and Women’s At-Large Teams, selected by the College Sports Information Directors of America, have been released to recognize the nation’s top student-athletes for their combined performances athletically and in the classroom. Making its presence felt in a big way on among this year’s list of recipients were athletes from the Gustavus Adolphus Athletics Department. Representing the men’s golf on the Men’s At-Large All-District Six Team was junior Andrew Oakes (Hermantown, Minn.) who receives the honor for the first time in his career. 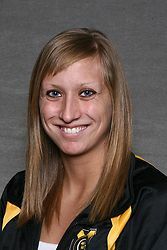 On the women’s side, a trio of Gusties made up the Women’s At-Large District Six Team. Receiving the honor was senior golfer Kayleigh Dittes (Eden Prairie, Minn.), senior hockey player Lindsey Hjelm (North Oaks, Minn.), and junior swimmer Alissa TInklenberg (Willmar, Minn.). Hjelm takes home CoSIDA Academic All-District Honors for the second time in her career, while both Dittes and Tinklenberg are first time recipients. The Academic All-District teams include the student-athletes listed on the following pages and are divided into eight geographic districts across the United States and Canada. This is the second year of the expanded Academic All-America program as CoSIDA moved from recognizing a University Division (Division I) and a College Division (all non Division I) and has doubled the number of scholar-athletes honored. The expanded teams include NCAA Division I, NCAA Division II and NCAA Division III participants, while the College Division team combines NAIA, Canadian and two-year schools. 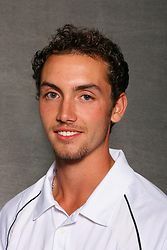 Andrew Oakes has been Gustavus’s consistent No. 2 from the start of the 2012 season. The junior kicked off the 2012 fall season with a first place performance with a 73-74-147 (+3) at the Augsburg College Invite on Sept. 8-9. He followed that up with a third place showing at the Saint John’s Fall Invite on Sept. 15-16 after posting a 72-73-145 (+1). Oakes went on to place fourth at the MIAC Championships, earning All-Conference accolades for the second time in his career following a three-day 224 (+8). He finished on the podium a total of three times and was second on the team in stroke average (75.2) heading into the NCAA Championships. A Coaches Association of America (GCAA) All-American Scholar this year, Andrew also made his first appearance on the GCAA All-Central Region Team. Oakes is majoring in economics and has a cumulative grade point average of 3.79. 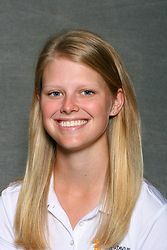 The lone senior on the Gustavus women’s golf team, Kayleigh Dittes was Head Coach Scott Moe’s steady and solid No. 1 throughout the 2012-13 campaign. Dittes was the top finishing Gustavus player in seven of the team’s 12 outings this, posting three top five finishes and leading the Black and Gold at the 2012 MIAC Championships with a sixth place finish after shooting a 241 (+25). She paced the Gusties with an 18-hole stroke average of 80.5 (+8) through 21 rounds, ranking her seventh all-time in Gustavus women’s golf history. The two-time All-Conference performer was also recently named to the Women’s Golf Coaches Association (WGCA) All-Region Team for the second time in her career. Dittes will graduate from Gustavus this June with a degree in biology. She carries a GPA of 3.83. A staple member of the Gustavus women’s hockey team’s top line (both offense and defense) the past four years, Lindsey Hjelm was a force to be reckoned with whenever she touched the ice. Hjelm concluded her senior season with a team-high 30 points on 14 goals and 16 assists. She captained the Gusties to a fourth straight MIAC Regular Season Championship, MIAC Playoff Championship, and trip to the NCAA Championship Semifinals. Gustavus finished the year with an NCAA record 27 wins, going 27-2-1 overall and 18-0-0 in the MIAC. Hjelm was decorated as the MIAC Player-of-the-Year, D3hockey.com West Region Player-of-the-Year, an AHCA First Team All-American, a D3hockey.com First Team All-American, and the MIAC’s Shelia Brown Award winner. The four-time All-Conference performer set program records for games played (120) and penalty minutes (224) while scoring a total of 110 career points on 48 goals and 62 assists. Hjelm will also graduate in June with a degree in biology. She holds a GPA of 3.79. Already the most decorated women’s swimmer in Gustavus history, Alissa Tinklenberg added to her legacy with another standout season. Tinklenberg led the Gustavus women’s swimming and diving team to its fourth consecutive MIAC Championship in 2013 after accounting for a school record 137 points at the meet. Over the three-day meet, the junior captured gold in six events including the 400 individual medley, 100 and 200 backstroke, 200-free relay, 400-free relay, and 400-medley relay. Following the meet, “Tink” was named the 2013 MIAC Women’s Swimmer-of-the-Year. The Willmar, Minn. product didn’t stop there. At the NCAA Championships in late-March, she turned in All-American performances in the 200 back (6th), 200-free relay (7th), and 400-medley relay (8th) to become a career seven-time All-American. 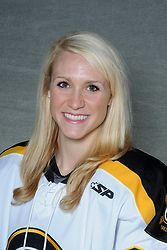 Tink was bestowed Gustavus Female Athlete-of-the-Month honors back-to-back months in February and March. Tinklenberg is majoring in accounting and has a GPA of 3.75.